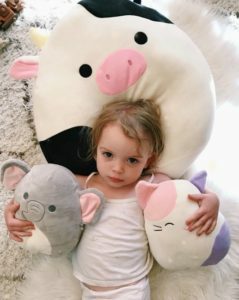 One (1) lucky reader win three (3) different Squishmallows! Which three would you want if you won? This giveaway is in no way endorsed, affiliated, or associated with Facebook, Twitter or any other Social Media Networking Site. This Giveaway is valid in the continental United States Only and Entrants must be 18+ years of age to enter. This giveaway event will end at 11:59 PM (EST) 12/18/18. The winner will have 48 hours to email their information back to mcushing7 at hotmail dot com or a new winner will be drawn, you may want to put this email address as safe as it could go to spam. If you take an entry you must stay following for the entire contest or you will be disqualified. Deal of the Day: Save up to 50% off Select Stuffed Animals 11/28/2017 only! Looking for a stocking stuffer or just a gift for someone to snuggle up with? 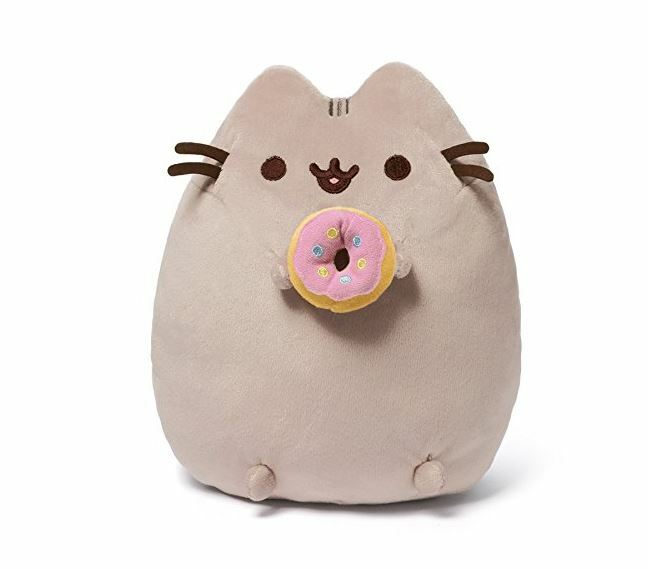 These plush cuties will brighten up anyone’s day! Would you believe that the majority of Americans believe that Valentine’s Day is less about romance and more about giving and spending time with one another? It is true, actually 92% of Americans feel this way. Build a Bear recently conducted a survey about Valentine’s and some of the results are pretty surprising. Almost all (92%) of Americans agree that Valentine’s Day isn’t just about romance – it’s about showing people you care about them. 82% believe the holiday is more about love than just spending money. Americans prefer to give Valentines (73%) versus receive them (27%). Americans prefer to be gifted with experiences (82%), versus more tangible gifts (18%). A personalized gift (64%) is preferred to a handmade (22%), or expensive gift (8%). The Build a Bear experience is an excellent gift whether it be fore your significant other or child. The time spent together, letting them customize their own bear is way more special than sending some flowers or buying some chocolate and the memories will be so much better. This year Build a Bear is teaming up with Make a Wish and as part of the Build-A-Bear Workshop “Million Hearts, Million Wishes, Million Ways to Help” effort, Guests can share photos of their “heart ceremony” when they wish on a limited edition “One in a Million” red satin heart that is added to their stuffed animal. For every photo shared on Facebook, Twitter, Instagram, or Pinterest with #sharebabwwishes, r Workshop will donate $1 to Make-A-Wish, up to $30,000. Build-A-Bear Workshop Guests can also make monetary donations to support Make-A-Wish at checkout in stores nationwide and online at buildabear.com through March. Build a Bear expects over 1 million guests to pass through their stores each Valentine’s season so if every guest shared a photo of their stuffed animal the results would be amazing. What are you waiting for? Get out to Build a Bear and create some memories and help out the Make a Wish Foundation! Be sure to check out Build a Bear on facebook, twitter, Pinterest, Instagram and the Build a Bear iPhone App. The wonderful folks from Build a Bear have been nice enough to offer a $25 gift card to one of my lucky readers. Just enter using the Giveaway Tools widget below. Good luck! Disclosure: MumbleBeeInc and the participating bloggers were not compensated for this post. We are not associated with any of the companies named above. No purchase is necessary to enter. Void where prohibited by law. The odds of winning are based on the number of entries received Open to US residents only. Confirmed Winner(s) (by Random.org) will be contacted by email. Winner(s) have 48 hours to respond before a new winner is chosen. No purchase necessary. Void where prohibited by law. The sponsor(s) will be responsible for product shipment to winner(s) of this giveaway. MumbleBeeInc is not responsible for product shipment/delivery. This event is in no way administered, sponsored, or endorsed by, or associated with, Facebook and/or Twitter, Google, Pinterest. This disclosure is done in accordance with the Federal Trade Commission 10 CFR, Part 255 Guides Concerning the Use of Endorsements. Entrants must only enter with either one email address, IP address and/or Facebook account, anyone found violating these rules will be disqualified. It is at the sole discretion of the admin of the giveaway if the winner has met the rules or not.